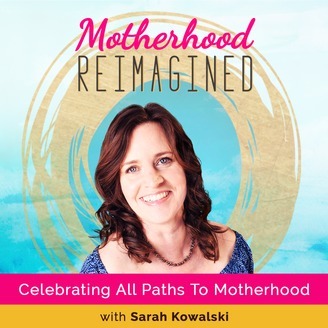 The Motherhood Reimagined Podcast, hosted by Sarah Kowalski, celebrates all paths to motherhood. Whether you&#39;re contemplating whether to become a single mother by choice, still trying to conceive, or already raising kids, this is the place to be to hear from single moms by choice who didn&#39;t follow the rules as they share the heartache and joys of their paths. Each week we interview a choice mom about her journey, or an expert on fertility, donor conception, sperm donation, adoption and more. Get inspiration and support about being a solo mom. Tammy is a single-mother-by-choice who used both an egg and a sperm donor to conceive her son. She went to Panama for donor egg IVF with sperm she had shipped from California Cryobank. We discuss the decision to leave the U.S. to have her fertility treatments and IVF (In vitro fertilization) process. She became pregnant on her second try and came back to the U.S. to deliver her child. The pregnancy was difficult for Tammy, she had gestational diabetes, hypertension, and preeclampsia. As a result, her son was six weeks early. The premature birth completely wrecked her home return plans. Tammy does express gratitude to the NICU for preparing her role as a mother. She also celebrates postpartum doulas and why she found hers indispensable. Tammy is very open about how motherhood has changed her, including her decision to leave the U.S. and make some lifestyle changes for herself and her son. That opens the door to the conversations about the benefits of being a solo mother and how this path has a lot fewer complications than coupled parents. We both agree that the single-mother-by-choice-path needs to be more accepted as a plan A, not just a plan B. Don’t get hung up on the definition of family, the concept is changing and that’s a wonderful thing! Tammy’s expectations of love, marriage, and family. Why she waited till 47 to pursue motherhood. Why Tammy went to Panama to pursue egg donor IVF and why it was a good experience. How she managed to find a doctor in the US to liaise with the doctors in Panama. The challenge of seeking fertility options overseas and working with the U.S. as well. Tammy’s difficult pregnancy and premature birth. How premature birth ruined any support system plans. Why it can be hard to ask for help. The benefits of hiring a postpartum doula. Tammy’s health issues and why she has made some major life changes. The importance of separating marriage and romance from parenthood. Why dating isn’t a priority for Tammy. How to create your own support system. The cohabitation trend within the single-mother-by-choice community. How the new generation is redefining the meaning of family. 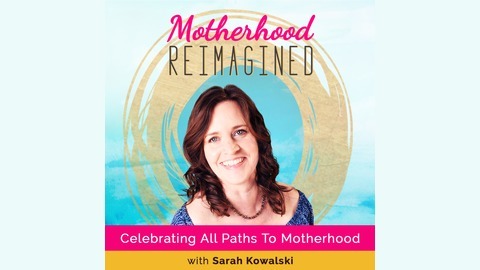 Thank you for joining me for another inspirational episode of Motherhood Reimagined. If you would like to work with me, please contact me through my email or the Motherhood Reimagined website. Please take the time to subscribe to the podcast and help the Motherhood Reimagined community grow. Also, if you are wanting some guidance on this unconventional path, consider joining my Motherhood Reimagined Tribe. You can also read my memoir for more insight. We can also be found on social media on Twitter, Pinterest, Instagram, and Facebook. As a side note, I am opening up a new support group on the Tribe Signature Level. Signature Level Tribe members will get video calls with a small group of other women at the same stage of their journey. You also get a private community forum and access to all my content. If you want a more private interaction with me, then consider my VIP Tribe membership. Also, I will be raising prices on membership on April 30, 2019. So, to lock in your price, here are some coupon codes, Foundermothly (for a monthly subscription) and founder6 (for a 6-month subscription.) I look forward to meeting you!